Having been sitting on the fence for a while, I’m finally leaping off, and presenting at some community events. Following a false start with SQLBits (I submitted, but wasn’t voted in, and given the number of attendees I’m a little relieved about that! ), I’ll be presenting at the following events over the next couple of months. 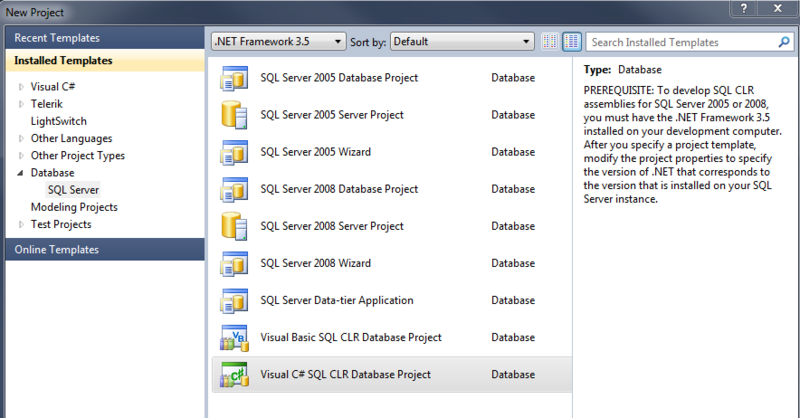 I’ll talk about using the CLR within SQL Server, why and when it should be used and then how. I’ll be going through the delights of creating a module to interact with SQL Server 2012, a function in T-SQL (briefly), then using C# to create a SQL CLR module, and then looking into the performance gains by making a C++ application querying the SQL Native Client (ODBC). All three sections will do the same job, and we’ll cover the advantages and disadvantages of each. Slides and follow-up articles will be coming soon.